Another rights application was filed against Nick Benkovich (Director of Water and Wastewater Services) and Kevin Fowke (Director of Human Resources and Organizational Development) to test their claims against whether WikiLeaks Sudbury publications are vexatious. Workplace labour disputes were also included into the application as a precautionary measure. However, the Ontario Human Rights Tribunal has no jurisdiction to investigate workplace disputes and general unfairness. As we expected, the duo, Benkovich and Fowke immediately submitted their response stating that WikiLeaks Sudbury publications are vexatious and requesting that the tribunal declare the applicant as a vexatious litigant. Fowke and Benkovich also requested an order to shut down the website. Furthermore, Benkovich and Fowke hired their infamous cover-up lawyer from Toronto, Mireille Khoraych for the proceedings but predictably paid for her services with tax dollars. Khoraych submitted an over 400 page document before the Tribunal. David Muir, vice chair of the Ontario Human Rights Tribunal, issued another landmark ruling and their request was denied (citation 2014 HRTO 703). Since Tribunal decisions are final, neither Benkovich nor Fowke is allowed to appeal against the decision. Social justice groups are celebrating the Tribunal`s decision and WikiLeaks Sudbury continues to expose the corrupt practices and the bloated bureaucracy in City Hall. Update: Mediation concluded. Justice prevails over authority, power and bureaucracy. The mediation was finalized (June 10, 2014) in Sudbury for Sexual harassment case against Benkovich and Fowke. Ontario Human Rights Tribunal found that application has merit to continue full scale inquiry. Karen Matthies (Relief Human Resources Director) is also respondent to the application. Geneviève Debané, Vice chair of the Tribunal, advised that if within seven days of the date of the Interim Decision that Benkovich and Fowke not agree to attend Mediation, matter will be scheduled for a two day hearing in Sudbury (Citation 2014 HRTO 107).Nick Benkovich (Director, Water and Wastewater Services) and Kevin Fowke (Director, Human Resources and Organizational Development) were unable to stand against stiff resistance and no other options available but accept the defeat and agreed for mediation through their cover-up lawyer Mireille Khoraych (see leaked document from Human Resources Division). Khoraych used all of her tactics to dismiss the application and also heavily engaged in personal attacks to tarnish character of the victim. City’s cover-up lawyer Khoraych received multiple blows from all fronts and this is a 5th straight knocked out. It was reported that Benkovich and Fowke spent over $80,000 tax dollars for human rights legal proceedings to cover-up their misconduct. Khoraych’s legal firm in Toronto was rewarded by Fowke for covering them up, paying over one millions dollars from taxpayers. 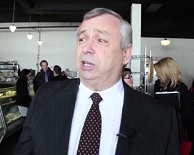 Greater Sudbury’s Mayoral candidate Ron Dupuis used tax dollars to pay for his Golf bag. His “smart” way of hiding tax dollar exploitation for personal use was uncovered. Ron Dupuis claimed part of incidental expense for 2011, on January 10, 2012. His submitted claim was divided as follows: meals at $ 835.66, Parking at $18.00, and Office supplies at $16.85. Then under a category listed as “other” he claimed a “Golf Town Donation” at $ 225.82, 50th Supper & Flowers at $ 173.02, Canada Day Kin Pack at $ 93.51 and Perkins Restaurant payment for Playground at $ 621.16. The total amount he claimed from Tax dollars was $ 1,984.02 and was paid in full under the account #: 61834-01-0210 on January 06, 2012. According to the leaked documents Dupuis used $ 113.00 tax dollars to purchase a MONACO Golf Bag for his personal golf activities. On September 08, 2011 Dupuis purchased six gifts as donations totalling $ 112.82 from Golf Town (Sudbury). 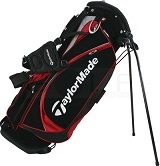 Dupuis also had a MONACO Golf bag purchased on March 25, 2011 from Golf Town (Sudbury). The MONACO bag cost $113.00. This bill was also submitted along with his donation supplies bought from Golf Town (Sudbury) for the 2011 Jug Curling event in Valley East. The gifts were purchased on September 08, 2011, which is almost a six month difference between and after the initial purchase. Dupuis submitted both of the bills together ($ 112.82 + $113.00 = $225.82) as incidental expenses and claimed this money from tax dollars. His attempt to slide his purchase of a MONACO Golf Bag Trolley into the incidental expenses is now exposed. Bill No. # 2: September 08, 2011 Gifts purchased from Golf Town (Sudbury). According to Jug Curlers who participated in the 2011 event, they never received any prize in the form of a MONACO Golf bag. Furthermore, the March 25, 2011 Golf Town bill details were scratched and thus illegible and unrecognizable. This indicates a clear intention of attempts to hide this purchase within his incidental expenses which is by now already paid by tax payers. There is no legitimate reason to scratch the “Bill To” information of the receipt, if it is a valid purchase by Dupuis (see leaked Bill No. # 1). Additionally, on March 25, 2011, a Golf Towne purchase is submitted along with his parking expenses. Those parking expenses (September 13, 2011 - $8.00, March 15, 2011 – $ 6.00, June 10, 2011 - $ 4.00) in total $18.00 (See leaked Bill No. #: 1) clearly reflect on his incidental expenses claim form (also See leaked incidental expense form). Therefore it can be further concluded that this bill was used as part of Golf Town Donations as identified in his claims. Similarly, Dupuis claimed expenses as office supplies amounting to $16.85. On September 08, 2011, bill consisting of the gifts purchased from Golf Town (Sudbury) were submitted along with his office supplies bill of $16.85 (See leaked Bill # 2). This amount is reflected in the incidental expenses on his claim form (also See leaked incidental expense form). Now it is clearly evident that Dupuis submitted both Golf Town (Sudbury) bills together to claim his incidental expenses. (2) Reason for submitting the March 25, 2011 Golf Town bill along with the September 08, 2011 bill. Sudburians are fed up with politicians and bureaucrats, questioning how deep the flagrant spending abuse runs. These allegations regarding misspending were perceived as a sign that more accountability is needed for all use of public money. Without leadership and direction in the public interest on behalf of political leaders , Sudbury will continue to be a second class city that is in real danger of decline. This is a time for institutional reform, a positive change for the city. Leaked Bill No. # 2: September 08, 2011 Gifts purchased from Golf Town (Sudbury). The original article published on "Oxford Bulletin of Economics and Statistics". The excerpts from the article as follows. The relationship between political and economic governance is controversial. While some scholars have argued that authoritarian regimes are likely to lead to market reforms, others have argued that democratic systems are needed to implement such reforms. The distributional conflict that characterizes democratic systems tends to lead to failures and delays in the adoption of economic reforms. Similarly, researchers note that countries such as Chile, South Korea, and Taiwan introduced democracy only after undergoing economic reforms. Conversely, others stress that democratic institutions strongly influence economic reforms. Researchers offer a theoretical framework to unify these opposing views. They highlight the crucial role played by the political calculus of incumbent rulers in explaining the relationship between political and economic liberalization. More specifically, researchers claim that when political competition is low, the governments’ incumbent advantage is high and, therefore, they do not fear replacement. In this context, the government’s political power is sufficiently secure and market reforms are more likely, even though they might generate political turbulence. The opposite situation is characterized by a high degree of political competition. In this case, governments have little incumbent advantage and prefer to carry out market-oriented reforms because, given their potential beneficial effects on the well being of society, such reforms might increase the probability of their staying in power. When political competition is neither high nor low, incumbent governing elites are more likely to block economic change. In this case, they perceive that the politically destabilizing effects associated with market-oriented reforms may significantly reduce their probability of retaining power. In reseachers’ perspective, therefore, the political replacement effect determines a non-monotonic relationship between the extent of political competition and the level of economic reforms that may lead to the adoption of new technologies, more efficient factor markets and the protection of property rights. Researchers use historical examples to support their theory. Specifically, they analyze cross country differences in industrialization during the nineteenth century. They explain why UK, Germany, and the US enacted economic reforms that encouraged entrepreneurs to adopt new technologies leading to economic development, while Russia and Austria– Hungary blocked those reforms, causing economic stagnation. Researchers suggest that further empirical investigation is needed to test the validity of their theory. Our study conducts this type of empirical investigation and, to the best of our knowledge, it is the first such attempt in the literature. There has been growing interest in the political determinants of economic policy. Several studies, both theoretically- and empirically-oriented, have investigated the effect of different political systems on public decision making. Within this literature, propose a theory explaining why UK, Germany, and the United States industrialized during the nineteenth century, while Russia and Austria–Hungary blocked development. They argue that the countries that underwent a path of lasting development have been critically affected by the creation of market-oriented economic institutions. However, the decision to initiate economic reforms is highly influenced by the political calculus of incumbent governments whose power is threatened by the implementation of such reforms. First, Researchers find that the implementation of economic reform is affected by the degree of political competition. Second, our results support the existence of the political replacement effect: incumbent governments are more likely to initiate economic reforms in countries where political competition is either high or low. In countries whose political system is characterized by intermediate levels of political competition, incumbent governments are likely to block economic reforms. Third, the existence of rents accruing to incumbent governments is a barrier to the implementation of market-oriented reforms: the higher these rents, the lower the degree of economic reform. Fourth, external threats affect the decision to implement market reform: the higher the external threat, the more likely the incumbent government is to initiate economic reform. Finally, even if the results are not as robust as we would like, the extent of economic and political reform is also influenced by human capital. Leonida, L., Patti, D.M.A., Navarra, P. (2013) Testing the Political Replacement Effect: A Panel Data Analysis. Oxford Bulletin of Economics and Statistics, 75, (6): 0305-9049.